MEDITATION: SUCH A CRUCIAL LIFE PRACTICE! My last two posts dealt with how to navigate through complexity. I detailed one approach that has worked for me, but it is by no means the only approach. We each need to discover our own path. What has helped me find my path, and I believe may also help you, is the practice of meditation. I am frequently asked by friends and students how to meditate. Despite many years of practice, I still feel thoroughly unprepared to answer this question. Since I was first exposed to meditation, I have leaned on my teachers. In the 70s and 80s, I looked to the wonderful author and Transactional Analysis pioneer, Dorothy Jongeward. More recently, my dear friend and mentor, Andre Delbecq, was my stalwart guide and, for five years, it was to him that I turned to teach the session on meditation and spirituality in my Stanford entrepreneurship class. Andre’s class was a favorite of my students, and one of the most impactful of all our sessions. 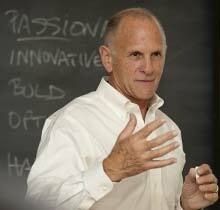 Unfortunately, two weeks before he was to teach the Fall 2016 class, Andre passed away at age 80. Since I had recorded his lecture from the previous year, I decided to play it for my class, rather than attempting to recreate it. It was my tribute to him. His words touched me as if I was hearing them for the first time. His spirit permeated the lecture hall, and many students commented afterwards how deeply he touched them. Several have followed up and, when I see them, they tell me they are continuing to meditate. You may have noticed that I have quoted both authors in my past posts. I do not presume to describe here what these special authors teach. Their own words speak so eloquently that I would be robbing you of the experience to savor them for yourselves. Instead, I will share with you some excerpts so that you can taste the beauty of these little books, then perhaps you will be inspired to pick them up and read them. I assure you that once you do, you will be hooked. Then, free to go wherever he chose, he must instead have felt a silent command: “North. Go north. Go home.” No details, no map, no companions, no guide, just a direction and a desire in response to an overriding imperative from within: go home. It is very much like that on the journey of meditation too. Once you turn inward, the words of the passages urge you forward in response to a summons from the very depths of the heart. This need to return to the source of our being is nothing less than an evolutionary imperative – the drive to realize our full human potential. …meditation is about a compassionate openness and the ability to be with oneself and one’s situation through all kinds of experiences. In meditation, you’re open to whatever life presents you with. It’s about touching the earth and coming back to being right here. While some kinds of meditation are more about achieving special states and somehow transcending or rising above the difficulties of life, the kind of meditation that I’ve trained in and that I am teaching here is about awakening fully to our life. It’s about opening the heart and mind to the difficulties and the joys of life — just as it is. And the fruits of this kind of meditation are boundless. The present moment is the generative fire of our meditation. It is what propels us toward transformation. In other words, the present moment is the fuel for your personal journey. Meditation helps you to meet your edge; it’s where you actually come up against it and you start to lose it. Meeting the unknown of the moment allows you to live your life and to enter your relationships and commitments ever more fully. This is living wholeheartedly. We turn our emotions into frozen objects and invest them with truth, and as a result they have so much power over us. So we train again and again in coming back to the object of meditation as a way of interrupting that fixated quality. The grasping and fixation — that’s really what we’re interrupting. So the intelligent way of working with emotions is to try to relate with their basic substance. The basic “isness” quality of the emotions, the fundamental nature of the emotions, is just energy. And if one is able to relate with the energy, then the energies have no conflict with you. They become a natural process. In my own practice, I use both approaches: sometimes employing a passage to enter the deep space (following Eknath’s advice, I often use the wonderful St. Francis Prayer that I’ve reproduced at the end of this post); and sometimes, rather than go deep, I go wide, staying with my immediate state of being and my emotions. Both approaches move me, both touch me, and both teach me. For me, meditation is a continually evolving process: I do not pre-plan which mode I will engage. I allow myself to be taken in either direction. In the end, they both become my guides to the same place of appreciation and gratitude. They both help me be more fully in the present. Most importantly, I attempt to follow the “edict” that both emphasize: Meditate every day. To make progress in meditation, you must be regular in your practice of it… There is only one failure in meditation: the failure to meditate faithfully. A Hindu proverb says, “Miss one morning, and you need seven to make it up.” Or as Saint John of the Cross expressed it, “He who interrupts the course of his spiritual exercises and prayer is like a man who allows a bird to escape from his hand; he can hardly catch it again” … Put your meditation first and everything else second; you will find, for one thing, that it enriches everything else. Even if you are on a jet or in a sickbed, don’t let that come in the way of your practice. If you are harassed by personal anxieties, it is all the more important to have your meditation; it will release the resources you need to solve the problems at hand. Meditation is a transformative process, rather than a magic makeover in which we doggedly aim to change something about ourselves. The more we practice, the more we open, and the more we develop courage in our life. In meditation you never really feel that you “did it” or that you’ve “arrived.” You feel that you just relaxed enough to experience what’s always been within you. I sometimes call this transformative process “grace.” Because when we’re developing this courage, in which we allow the range of our emotions to occur, we can be struck with moments of insight, insights that could never have come from trying to figure out conceptually what’s wrong with us, or what’s wrong with the world. These moments of insight come from the act of sitting in meditation, which takes courage, a courage that grows with time. So, dear Reader, go and get these little books. And perhaps they will help answer your question about what meditation is all about and why some of us are so hooked on it.